In June a detachment of four aircraft was sent to Aden to assist in the trouble there. 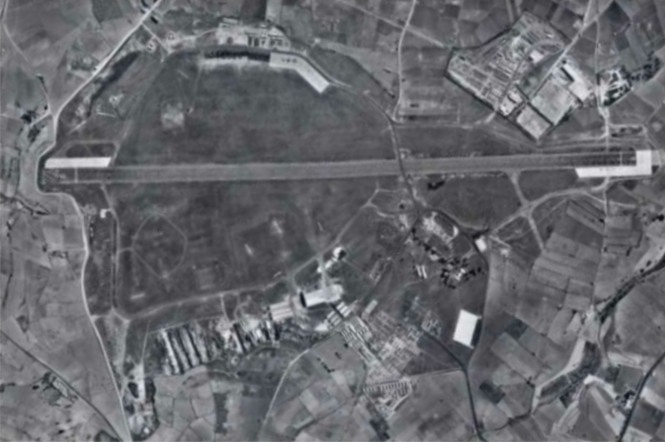 This was to become a permanent detachment with Squadron pilots being changed at regular intervals. With a deteriorating international situation, conditions in the Eastern Mediterranean were becoming warlike. By August the Squadron was on the move yet again, this time to Ta Kali, Malta. This move was hard to understand initially, with the Suez situation boiling up, for 208 were one of the most experienced Squadrons in the Zone. 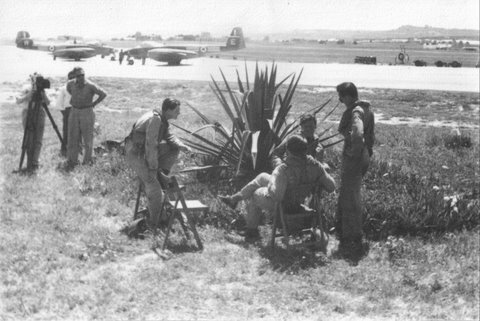 However when the Squadron arrived in Malta it found itself to be the only operational RAF Squadron there. A new task was given to the Squadron, that of intercepting incoming aircraft. Four aircraft, the Battle flight, were on standby on the Operational Readiness Platform (ORP) and were scrambled by Air Traffic control who were in touch by landline with Malta Sector. 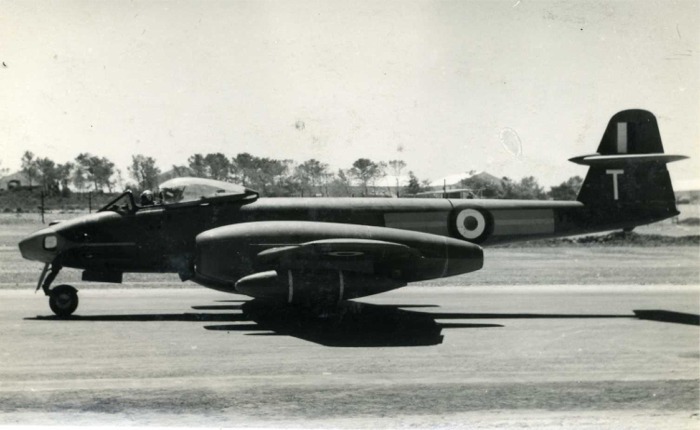 The aircraft were then vectored onto any target which had been “seen” by the GCI Due to the age of this equipment however several of the interceptions were unsatisfactory. In one extreme case a section was vectored onto a destroyer at 5,000 feet apparently executing a wide left hand orbit! In January, 1956 the Squadron moved from Abu Sueir to RNAS Hal Far, Malta. 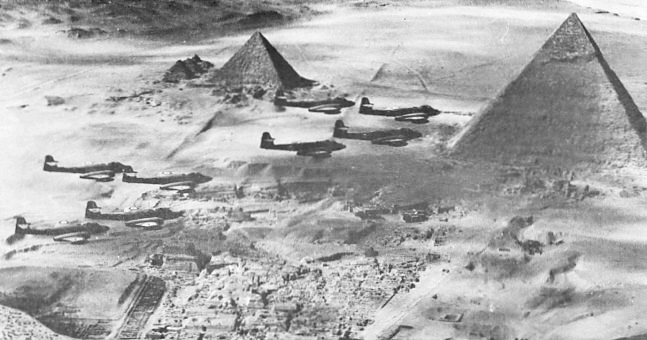 Before leaving diplomatic clearance was obtained to fly a farewell Balbo over the Sphinx and the Gizeh Pyramids . At Hal Far liaison with the Navy was excellent and comments were soon flying around that it would only be a short time before ‘Naval 8’ was reinstated as an operational squadron. However this liaison was not to last for in March the Squadron moved once more, this time to Akrotiri, Cyprus, where patrol operations against the terrorists were carried out.